Avery Products Corp., the world’s largest supplier of labels and short-run label printing and software solutions, in collaboration with HP, the global leader in printing, has obtained the British Standard 5609 (BS 5609) Section 3 certification for Avery UltraDuty GHS Chemical Labels on all HP PageWide Printers. The collaboration between award-winning Avery UltraDuty GHS Chemical Labels and HP PageWide printers provides BS 5609 certification to help ensure compliance with IMDG code and long-lasting durability with superior print resistance to water, chemicals and abrasion. Companies that transport dangerous goods overseas are subject to safety regulations that may require BS 5609 certification. It is a requirement for IMDG certification to ensure that if a chemical drum falls off a ship that the label must remain adhered, intact and legible after an extended period in the ocean. Labels must be able to withstand a three-month saltwater submersion. Even if not shipping chemicals, UltraDuty GHS Chemical Labels help workplaces that use hazardous chemicals comply with OSHA’s Hazard Communication Standard. Proper labeling of secondary containers is an important step in keeping workers safe and avoiding fines. Avery UltraDuty GHS Chemical Labels are made with specially engineered, high-performance materials that make them waterproof and resistant to chemicals, abrasion, UV light, tearing and harsh temperatures. The labels are available in a variety of sizes to help identify hazardous materials in a variety of containers including drums, totes, pails, jugs and bottles. Consumers can simply customize their labels using the Avery Design & Print GHS Wizard online software. 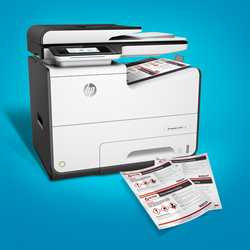 The HP PageWide platforms make color printing affordable, while offering superior print speeds and lower energy consumption than in-class laser devices. The single and multifunction devices have print speeds ranging from 40 ppm to 60 ppm (up to 80 ppm in General Office mode). The BS 5609 certification for the Avery UltraDuty GHS Chemical Labels covers both A3 and A4 HP PageWide Pro, PageWide Enterprise and PageWide Managed printers that use HP 972, 913, 973, 974, 975, 981, 990, 991, 992, 993, 982 inks. To learn more about Avery UltraDuty GHS Chemical Labels, visit avery.com/ghs. Avery Products Corporation is the world’s largest supplier of labels, specialty converted media and software solutions for short-run digital printing applications for businesses and consumers available alongside complementary products sold through distributors and mass market retailers under the Avery® brand. Avery Products Corporation, a division of CCL Industries, is based in Brea, California. For more information about Avery products, visit avery.com. CCL Industries employs approximately 20,000 people operating 168 production facilities in 40 countries with corporate offices in Toronto, Canada, and Framingham, Massachusetts. CCL is the world’s largest converter of pressure sensitive and specialty extruded film materials for a wide range of decorative, instructional, functional and security applications for government institutions and large global customers in the consumer packaging, healthcare and chemicals, consumer electronic device and automotive markets. Extruded and laminated plastic tubes, aluminum aerosols and specialty bottles, folded instructional leaflets, precision decorated and die cut components, electronic displays, polymer bank note substrate and other complementary products and services are sold in parallel to specific end-use markets.